Olib Island features the most beautiful sandy beaches on the Adriatic, so they say. Nevertheless, sandy beaches on our coast are rare, so with pleasure we explored the beauties of these golden beaches and bays of Olib. 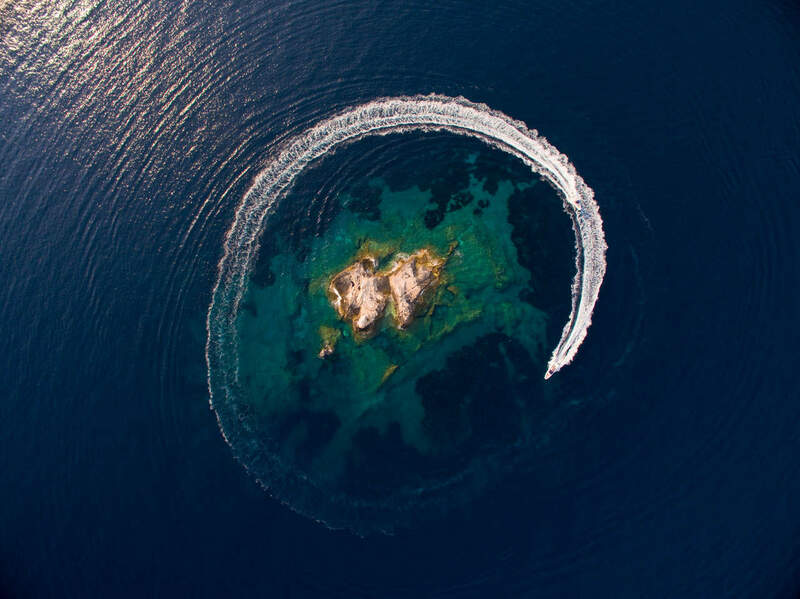 This island of the Zadar Archipelago is located 25 nautical miles west of Zadar, it is surrounded by islets hiding a wide range of coves and lagoons providing a safe shelter against all types of winds. Zadar Archipelago Company offers transfers and tours from Zadar to Olib in three new dinghies Lolivul 9. We had the opportunity to enjoy their professional hospitality and took a tour to the island of sandy beaches. Two dinghies, adventurous spirits and the expedition was ready to explore Olib and its islets. An hour drive and we were there. The first bay on our route was Slatinica, also approachable by land as a leisurely walk through the woods from the settlement Olib. This bay is very shallow and a genuine untouched natural paradise. The coast is a combination of sand and stone, and the sea bed is also sandy. It means hours spent soaking in warm sandy shallow waters. The size of it allows you private peace, away from other souls. Sip a cool drink or refresh yourself with seasonal fruits and enjoy the image of majestic Pag and grandiose Velebit stretching before your eyes. The shallow waters of Slatinice represent a perfect spot for the most popular game on the Adriatic – ‘picigin’ (five players passing around tennis-size ball) or any other shallow-waters-oriented sport. Nearby lagoons on the south side are all sandy and providing you anchor first, their small size allows you to make it your own private sea paradise. We spent half a day exploring and searching for the most fabulous lagoon; the turquoise sea and sandy sea bottom had us mesmerized every time. This small area offers intense rich beauty of tiny pearls, which should not be missed – either as a day trip or a cruising tour ‘pit-stop’. The settlement Olib is located on the south-east side of the island, which lies peaceful and serene during the winter months. The lifestyle of the locals is connected with nature: agriculture, livestock farming and olive-growing, to a certain extent fishing as well. However, fishing and seafaring are more dominant activities on Silba Island. In summer time the number of island visitors grows, and diaspora population is easily recognized by their golf-carts they have chosen as their island means of transportation. Apart from a few of these and workers on motocultivators, a few quads and postman Denis on his motor-bike, the island traffic has no signs of life. 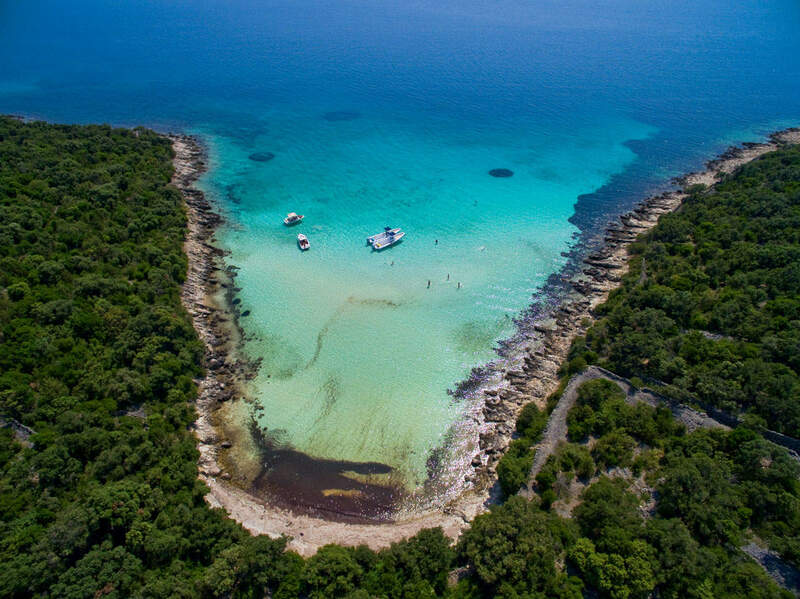 Olib is the right choice for nature lovers searching for an escape from the daily hustle-bustle and yearning for the pleasures of the crystal clear sea and sun kissed coast. 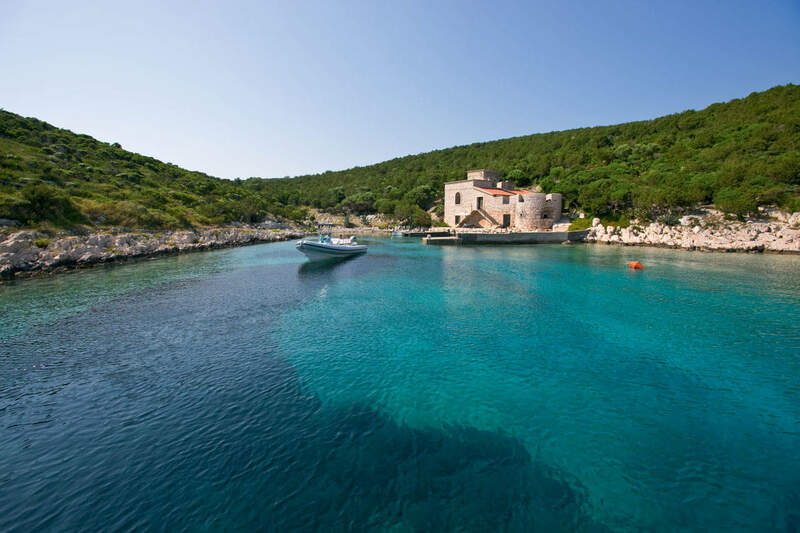 Across Olib is a tiny island Škarda, a Croatian beauty fading away. This island hosts only 16 houses, abandoned with all memories still stuck inside the walls. Photographs, clothes, winter food supplies, everything left abruptly, the whole history of the families living there was found inside these houses. Škarda is lifeless in winter time and in summer nature enthusiasts come here. The lonesome Škarda is perfect for Robinson Crusoe style tourism. A wide road leads from the area where there are a scarce number of houses on the north-west side of the island, to the Gripanca Bay and castles (‘kaštela’) privately owned and located on the other side. Zlatko Jukaš, author of the bank note of the temporary national currency – Croatian dinar, spent 15 years as the only inhabitant of the Škarda Island; he lived there in a reconstructed castle (‘kaštel’), without regular water supply and used solar power energy. Today this bura-sheltered lagoon offers anchorage to the guests of the castle, where the welcoming castle keepers will greet you. Ist, Premuda, Silba and Olib are all pearls of the north-west Zadar Archipelago. We dropped by on Ist, known as the ‘butterfly’ due to its shape. Ist has been for years a beloved destination of yachtsmen, divers and fishermen. Kind hosts of Ist will make sure you experience the natural beauties and rich island history. Around 160 souls live there, though summer brings increased numbers of visitors and lively positive vibrations. On the last Saturday in July a basketball tournament is held along with an appropriate feast, launching Ist into the ‘centre of the world’. The church on the island is dedicated to St.Nikola, the patron saint of fishermen and seafarers. Let the adrenaline rush take you for a walk towards the island’s peak. The highest point of the island is Straža with a small church Gospe od Zdravlja (Our Lady of Health), here you can see the specific shape of the island, like two connected horseshoes dappled with fabulous sandy lagoons. This spot provides a genuine view over the Zadar Archipelago in any direction: towards south the view stretches all the way to Kornati, the north vista allows you to enjoy landscaping scenes of Olib and Silba, Škarda, Premuda, islets and rocks. In the east you can see the majestic Velebit, and the west provides an endless deep blue image. As a finishing touch we followed the experienced skipper’s advice and headed towards the open sea with a mission of touring the Funestral Cliff. A place south-west off Ist towards that cliff, provides a stunning backdrop for reflection as you gaze out over the deep-blue and horizon stretching endlessly. You will often hear locals say ‘see you at the poodle’ as the structure remind of the English poodle hairstyle, though it also plays an important role as a habitat of fish and crabs. I am at a loss for words when it comes to depicting the deep blue of the crystal clear sea, pebble beach and the precious peace these rock surroundings provide. With hearts and souls filled, two days slipped by in a blink; luckily swift dinghies provided flash transfers enabling us a colourful bouquet of the sea experiences to finish. If summer leads you to Zadar – make sure you visit Olib and its neighbouring islands.